Mr. N. Sridhar (IAS – Govt. of India), Mr. Arvind Malkhede (I.R.T.S. – Govt. of India) & Mr. Rakesh Bhasker (IRS – Principal Commissioner of Income Tax) inaugurated the INDIA’S EDUCATION EXCELLENCE AWARDS 2018 ceremony as the chief guest for the evening. Mr. Rakesh Bhasker honoured all awardees with the Trophies and Mr. Hemant Kaushik (CEO) Berkshire Media Pvt. Ltd. (A Division of Berkshire Media LLC, USA) honoured all awardees with the certificates. Mr. Hemant Kaushik, President of INDIA’S EDUCATION EXCELLENCE AWARDS Council was very happy about the successful completion of the event. 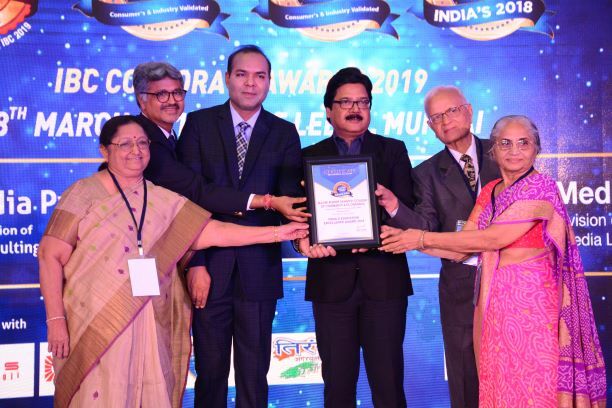 Mr. Kaushik said that INDIA’S EDUCATION EXCELLENCE AWARDS 2018 platform salutes all the selected Top 50 institutes of India and the event has proved to be the most radiant platform which showcased most distinguished personalities and institutions of India. “Today’s evening has been all about education, academic excellence, leadership and inspiration. Every educational institution wants to be recognised as a place which creates better opportunities for its students and guide them towards their future endeavours & success and INDIA’S EDUCATION EXCELLENCE AWARDS 2018 is that platform which provides true recognition to such institutions which have proved their commitment towards continuous strengthening of the nation’s educational infrastructure.” He further added. He said, “Today’s day was magical. It is truly a proud moment for selected Top Indian Institutions as all the institutions and education leaders got a powerful platform to showcase their strength and values”. INDIA’S EDUCATION EXCELLENCE AWARDS Council will continue to honour and recognize the best educational institutions in the years to come. The group will continue to showcase the institutions that are touching and changing the lives of millions of Indians in the country. INDIA’S EDUCATION EXCELLENCE AWARDS provides these winners an opportunity to showcase their achievements, contributions and success. 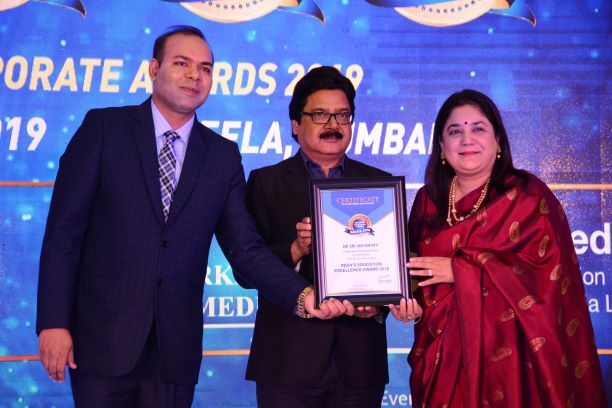 As a President of INDIA’S EDUCATION EXCELLENCE AWARDS council and a CEO of Berkshire Media, Mr. Hemant Kaushik welcomed all the Chairpersons, Directors, Presidents, Principals, Teachers and other senior officials who were there to attend INDIA’S EDUCATION EXCELLENCE AWARDS Ceremony. Berkshire Media conducted a physical consumer survey for selecting the institutions. Based on the research report the institutions have been ranked for the awards. INDIA’S EDUCATION EXCELLENCE AWARDS is a distinctive recognition for an institution recognized as, “BEST INSTITUTION” in its particular category based on quality of education, infrastructure, learning environment, academic curriculum, student development and other such factors. 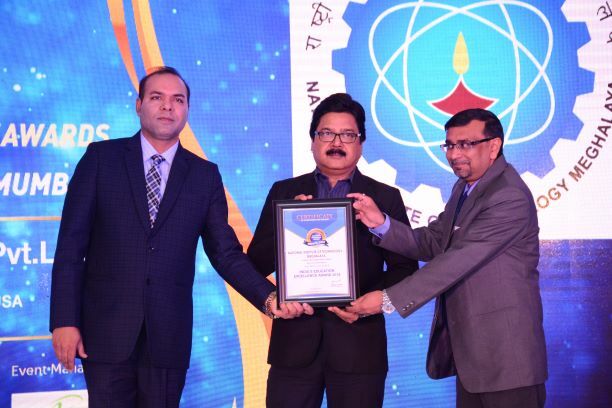 INDIA’S EDUCATION EXCELLENCE AWARDS believes that it can provide tremendous service by identifying those which have maintained the highest standards of education & have made a genuine contribution towards creating better career opportunities for their students so that they can use their skills towards empowering the nation. Mr. Pushpit Gaur (Director Brand Development) gave a vote of thanks to all the winners on achieving INDIA’S EDUCATION EXCELLENCE AWARD 2018 and the glittering awards ceremony was hosted by Emcee Simran Ahuja, well attended by leaders from education industry, media celebrities and many other eminent guests. Besides celebrating the new milestones created by institutions in India, the event was also one of the finest opportunities to network and interact with the best minds in the country. 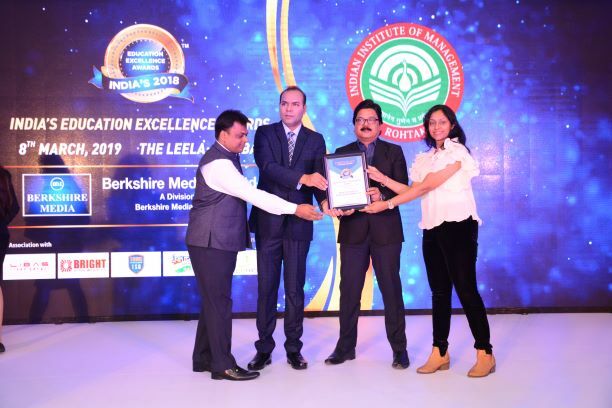 The institutions which were honoured with the title of INDIA’S EDUCATION EXCELLENCE AWARD 2018 are INDIAN INSTITUTE OF MANAGEMENT, ROHTAK, NATIONAL INSTITUTE OF TECHNOLOGY – MEGHALAYA, INSTITUTE OF TECHNOLOGY AND SCIENCE, GHAZIABAD, MALINI KISHOR SANGHVI COLLEGE OF COMMERCE & ECONOMICS, INDIAN INSTITUTE OF PLANTATION MANAGEMENT BENGALURU, XAVIER INSTITUTE OF SOCIAL SERVICE, KUVEMPU UNIVERSITY, GURU JAMBHESHWAR UNIVERSITY OF SCIENCE AND TECHNOLOGY, N. L. DALMIA INSTITUTE OF MANAGEMENT STUDIES AND RESEARCH, KALINDI COLLEGE, NIZAM COLLEGE, SRI SRI UNIVERSITY, CHIKITSAK SAMUHA’S SIR SITARAM AND LADY SHANTABAI PATKAR COLLEGE OF ARTS AND SCIENCE AND V. P. VARDE COLLEGE OF COMMERCE AND ECONOMICS, RAJIV GANDHI UNIVERSITY OF KNOWLEDGE TECHNOLOGIES, INSTITUTE FOR FUTURE EDUCATION, ENTREPRENEURSHIP AND LEADERSHIP, APEEJAY COLLEGE OF FINE ARTS, MODEL COLLEGE, DOMBIVLI, VAAGDEVI DEGREE AND PG COLLEGE, MAHAKAL INSTITUTE OF TECHNOLOGY, RUKMINI DEVI INSTITUTE OF ADVANCED STUDIES, D. Y. PATIL MEDICAL COLLEGE, KOLHAPUR, SVS GROUP OF INSTITUTIONS, NIRMALA MEMORIAL FOUNDATION COLLEGE OF COMMERCE AND SCIENCE, SRI MANAKULA VINAYAGAR ENGINEERING COLLEGE, VOGUE INSTITUTE OF FASHION TECHNOLOGY, PRIYADARSHINI COLLEGE OF ENGINEERING, NAGPUR, B.N.N. COLLEGE, ILAHIA COLLEGE OF ENGINEERING AND TECHNOLOGY, ANNEX COLLEGE OF MANAGEMENT STUDIES, AIMS INSTITUTE OF MANAGEMENT STUDIES, INDIAN INSTITUTE OF TECHNOLOGY, DELHI, KUMAUN UNIVERSITY NATIONAL INSTITUTE OF FASHION TECHNOLOGY, DELHI, etc. Mr. Hemant Kaushik said we are organising ASIA’S EDUCATION EXCELLENCE AWARDS 2019 on 21st October 2019 at Hotel Grand Hyatt in Bangkok, Thailand. In this award function, we will be honouring Asia’s most outstanding 50 Institutions with distinguished activity, exceptional qualities, and prominent achievements. Final selection of winners will be made on the basis of survey, research and expert panel assessment.